It is a requirement of your Agreement, that the goods are protected against Theft and Accidental Damage. We can arrange Theft & Accidental Damage Cover for £0.64 per week. It is a requirement that products purchased on a credit agreement are insured. We can offer Theft and Accidental Damage Cover for £0.64 per week. If you have a smaller household of 1-3 people, this Montpellier is perfect for an effortless cleaning performance. 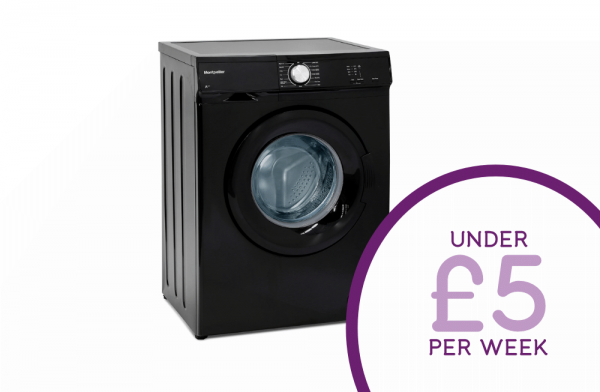 With 15 programmes and a handy 15 minute rapid wash function, the MW5101K has every programme you need. This MW5101K also has a 5kg wash load and 1000rpm spin. Wash with ease and pay weekly. Browse our other Montpellier appliances today.